While compiling our list of over 75+ free tools to protect your privacy, we noticed the market was strongly skewed toward PCs and Macs, while iPhones and Android devices were left with far fewer options for keeping snoops and hackers at bay. Unfortunately, the reality is that more and more people are using smartphones and tablets as their primary devices for connecting to the internet. In some countries, especially developing ones, the internet-connected populace has already leapfrogged the desktop era and gone straight to mobile. In light of the mobile revolution, we wanted to highlight a few key ways you can stay private and secure on mobile. The first step is to skim through your phone settings to make sure the manufacturer, Google, Apple, and your apps aren’t granted unnecessary access to any private data. Switch off location tracking services, access to your camera and microphone, and data sharing features that you don’t need. On iPhones and newer Android devices, you can enable and disable these services on an app-by-app basis. Keep in mind that disabling a permission can potentially cripple an app, so make sure it isn’t necessary for the app to function properly. Just like desktops, VPNs are becoming increasingly important on mobile as a means to encrypt internet traffic traveling to and from your device. A handful of free mobile VPNs are available like Tunnelbear and Hotspot Shield, while paid services often include support for both desktops and mobile devices. Look for logless VPNs with strong encryption standards to keep your web browsing and app usage private. Not all chat apps are encrypted and, even if they are, the company that makes them may well have the key to decrypting them. WhatsApp, Viber, iMessage, Snapchat, and Facebook Messenger all have some level of encryption. WeChat and Line are not encrypted by default. Even on those encrypted channels, whether your messages remain private depends on how difficult it is for a hacker to reverse engineer the app or how easily the company gives into government coercion. A few encrypted chat apps exist specifically for those who don’t want their privacy in the hands of a multinational corporation, such as CryptoCat. 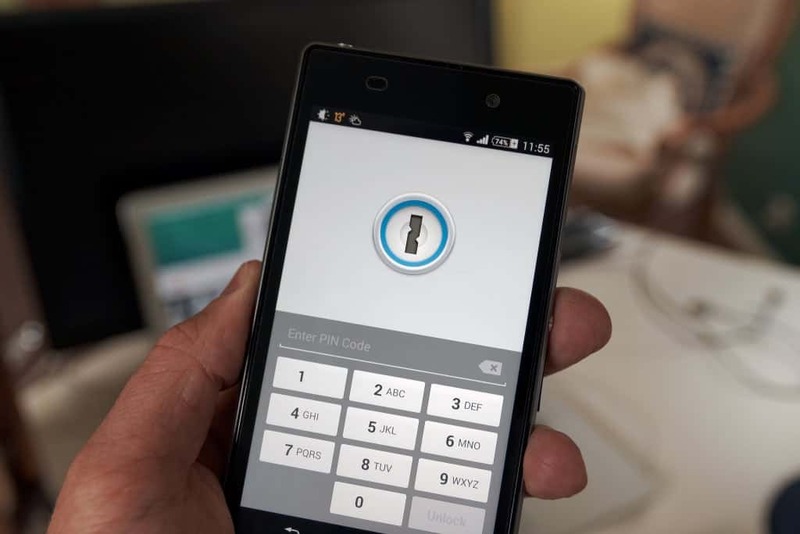 If you want to encrypt live phone calls, Signal is probably your best bet. The free app offers encrypted voice calling and instant messaging. Strong, varied passwords are a key component in guarding your privacy online, but memorizing different passwords for every account is a hassle. For this, there’s password managers. A password manager let’s you encrypt and store all of your passwords into a single app so you only need to memorize a single master password. MasterPassword and LastPass both make password managers for mobile devices. It can be annoying to have to swipe or type in a passcode every time you want to access your phone, but it’s a precaution worthy of your two seconds of added effort. Passwords are the most secure, followed by PIN numbers, and finally swipe codes. That’s because thieves can look at the oil residue on your phone to see where you’ve been swiping. Nevertheless, it’s the fastest option and something is better than nothing. Both iOS and Android have remote phone tracking and limited control features that require limited setup to use. Enable Find My Phone and set up an iCloud account on iPhones, and allow Google to track your location on an Android phone. These features will not only assist you in locating a lost or stolen device, they will let allow you to remotely wipe it and return the phone to factory settings. The caveat here is that you must sacrifice some privacy to Apple or Google in order to use these services. While we’re talking about lost or stolen phones, write down your device’s IMEI number somewhere. This is a unique number to your phone that will help law enforcement get your phone back faster. Every time you install a new app, don’t just scroll past the permissions page and hit accept. In particular if the app is from a less well-known publisher, ask yourself whether it really needs all those permissions. If you want to install the app but want to exclude a particular permission, you can usually disable specific permissions in your device’s app settings. Look out for permission changes in new updates as well. Should your phone be lost, stolen, or broken, be sure to have a backup ready either on the cloud or a local device. If you’re backing up to the cloud, make sure any sensitive information is encrypted before it’s uploaded. Some backup apps do this by default, such as IBackup. Others, like Google Drive, do not. Boxcryptor, Viivo, Cloudfogger, Cryptonite and nCrypted Cloud all make free apps that you can use to encrypt files locally before uploading to your cloud storage. Before you sell a phone or hand it over to a repairman, be sure to remove the SIM card. Your SIM contains a wealth of personal information and can even be used in some cases to make purchases or sign up for accounts. Selling your phone is generally not advisable, as it’s notoriously difficult to remove all your data from flash memory. If you insist on doing so, be sure to remove the SIM, sign out of all your accounts, perform a factory reset, and use Android Device Manager or iCloud to wipe the device remotely. Be sure to sign out of iCloud again afterwards. Keeping your device software up to date will nullify vulnerabilities in deprecated or obsolete older versions. We recommend you stick to the latest stable release, but there’s generally no need to use beta or nightly versions that are still being tested. A wealth of privacy and security apps are available on reputable app stores for your perusal. We won’t go through them all here, but some of our favorites include Disconnect (anti-tracking), HTTPS Everywhere, VeraCrypt (disk encryption), Orbot (Tor for Android), and several antivirus and anti-malware apps. Android tends to have more of these because Apple prefers to take security into its own hands on iOS.